Advanced Circuits, a printed circuit board manufacturer, has signed a 10-year lease in Chandler, Ariz., where it will relocate its activities from Tempe, Ariz. DAUM Commercial Real Estate Services worked on behalf of Advanced Circuits to secure the lease. 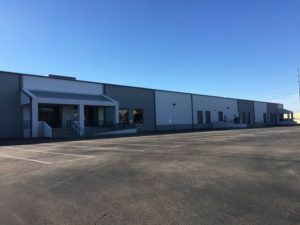 Advanced Circuits chose to lease 48,000 square feet at 6615 W. Boston St., doubling its footprint from the previous location, where it occupied 24,000 square feet over the past 20 years. The property, owned by Invanhoé Cambridge, is a 96,000-square-foot warehouse and distribution facility, originally constructed in 1978. The building received major renovations in 2014, including a new roof, T-5 warehouse lighting, new exterior paint and an access ramp to the office component. The warehouse also features 40- by 40-foot column spacing, 24-foot clear height, dock bumpers and levelers, dock-high and grade-level loading doors, climate control systems and 120 parking spaces, with a 110- to 175-foot deep truck court. The location offers immediate access to major thoroughfares, as Interstate 10, Loop 101 and Loop 202 are all under a 10-minute drive from the property. “Our client was seeking to relocate from their previous Arizona location after 20 years, as part of a company expansion that will bring several jobs to the area, as well as a desire to modernize its manufacturing facilities,” Sebastian Sica, associate at DAUM’s Phoenix office, said in a prepared statement. According to him, the relocation will bring at least 150 new jobs to the area. DAUM partnered with Advanced Circuits a year ago to secure the new location for the manufacturer. DAUM recently helped arrange a 10-year lease at Orange County Commerce Center, in Orange County, Calif., on behalf of Panattoni Development Co. and Principal Real Estate Investors.